So cute! My 2 grandpuppies are always remembered! I just received my pet wreath ornament. I hung on my Christmas tree. I am very pleased with it. I also ordered the same wreath with out personalizing it. This represents my other dogs that I have lost. The quality is what I expect from Miles Kimball. I am never disappointed. I have been doing this for years and always have been very happy with my purchases. My family always looks forward to see what I have purchased for the dogs for their Christmas tree. 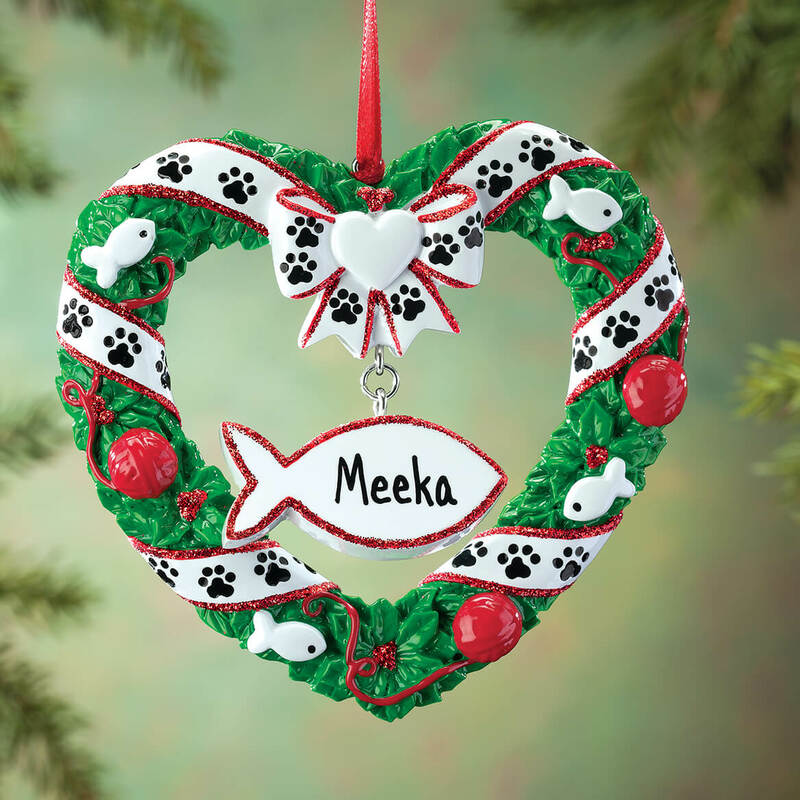 Their pets of today and yesterday have ornaments of their own every year. 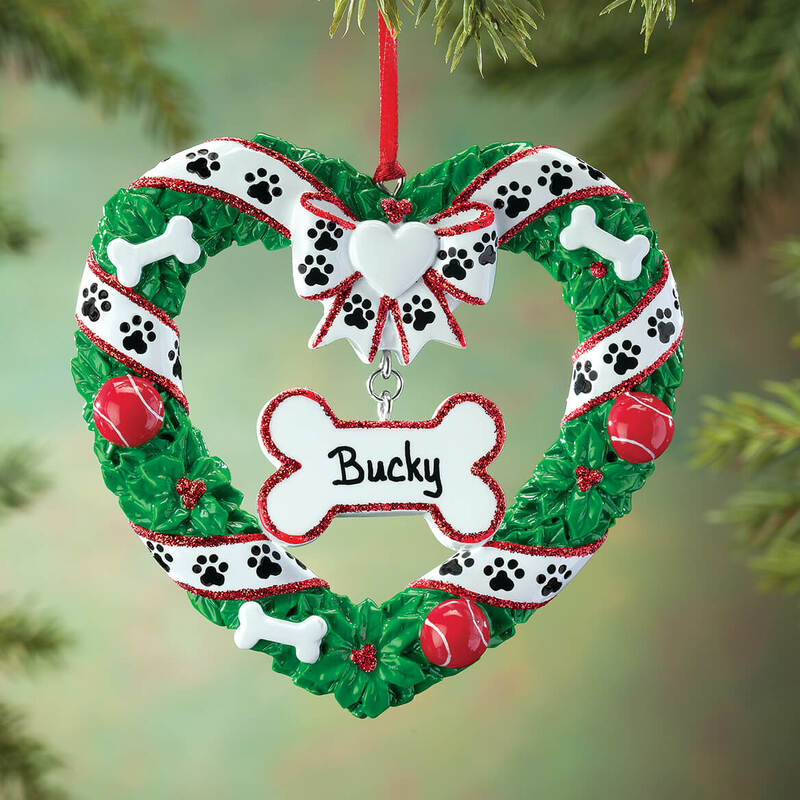 I neded an ornament for our precious dog and this was better than I ever dreamed. My 2 grandpuppies are very special to me! These ornaments are so cute! 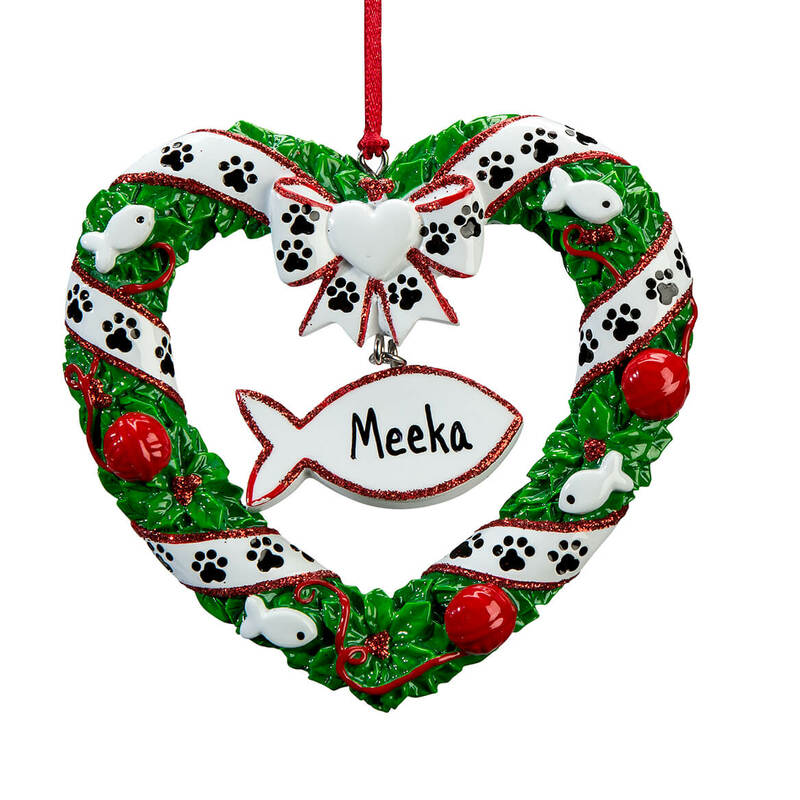 i wanted something with my cat's name on the Christmas tree. I rescued a Maltese and she has been such a joy in my life.